That spark at the beginning of a relationship is the first of several relationship phases. Although most couples experience intense attraction and excitement at the beginning of their relationship, after a while, the spark begins to fade. If you or your partner don't feel the same magic toward each other you felt when you first started dating, you might wonder how the relationship changed from intense to bland. Understanding why passion can disappear might make it easier for you to accept your situation and to move forward. It's important to understand why nearly all relationships lose that initial, intense spark. Over time, it's natural that as couples become more secure in the relationship that they begin to take each other for granted. The thrill of togetherness fades as each partner pays less attention to each other and spend less time on each other's needs. Dr. Arthur Aron, a research psychologist at the State University of New York at Stonybrook, who has studied the chemical changes in the brain of people in love, informs us on the radio podcast, "The Science of Intimacy & Love," that four years into a relationship, about 90 percent of couples report that they are less happy than at the beginning of a relationship. Once couples start feeling secure in the relationship, they take less care of their physical appearance. They might feel less attracted physically to their partners. As the novelty of the new relationship fades, couples spend less time in shared activities. Couples who make an effort to regularly engage in new and exciting activities together are more likely to sustain the excitement in their relationship, Aron reports. As familiarity and boredom set in, however, most couples no longer feel the desire to be together as often as they did before. Over time, as couples begin to feel secure with each other, they no longer invest the time and effort necessary to communicate with the other. In the article, "Why the Spark Fades in a Relationship," over time, couples stop expressing their feelings to each other, states clinical psychologist Lisa Firestone Ph.D., in Psychology Today. Ongoing honest communication about things good and bad, is essential for maintaining a healthy relationship. Disagreements and disappointments are natural, but if the negative feelings are not expressed in ongoing, honest communication, repressed resentment can build, which causes the passion to diminish even further. The initial sparks of passion might fade, but often, they evolve into a deeper sense of commitment. This second phase occurs somewhere between six and 30 months into the relationship, according to the book, "Understanding Human Sexuality" by Janet Hyde, Sandra Byers and John D. DeLamater. Although the emotions the two people feel might not be as 'hot' as earlier in the relationship, the sense of friendship and caring each person has for the other can sustain the relationship over a long time. Huffington Post: Holiday Dating -- Should You Rekindle the Spark With an Ex? What Are the 5 Stages of a Withering Relationship? 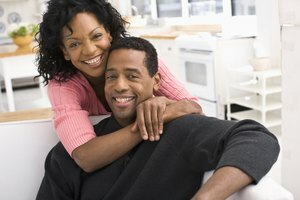 What Are Signs That a Relationship Isn't Going Anywhere? Silver, Freddie. "What Happens When the Spark in a Relationship Is Gone?" Synonym, https://classroom.synonym.com/happens-spark-relationship-gone-23799.html. Accessed 24 April 2019.